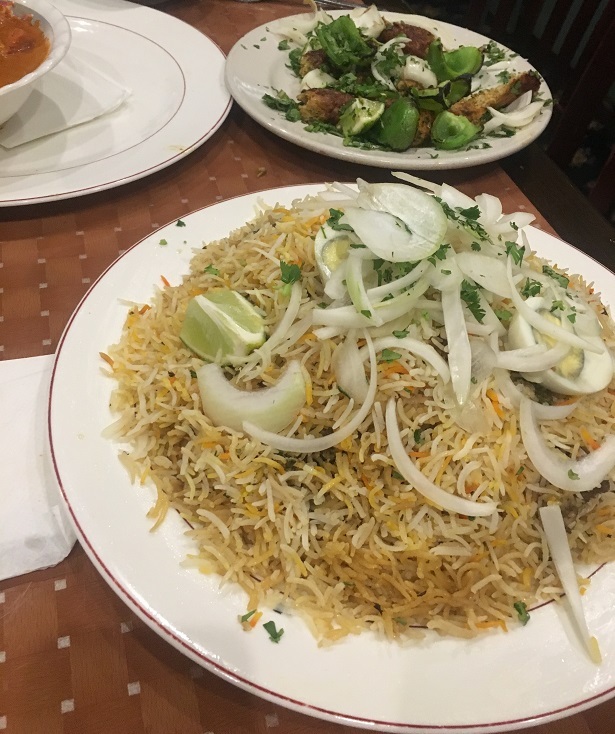 This past Wednesday, the owners of Hyderabad Biryani House graciously opened their doors to the RVA Mag team to celebrate Iftar, the evening meal in which Muslims end their daily fasting during the month-long Ramadan holiday. 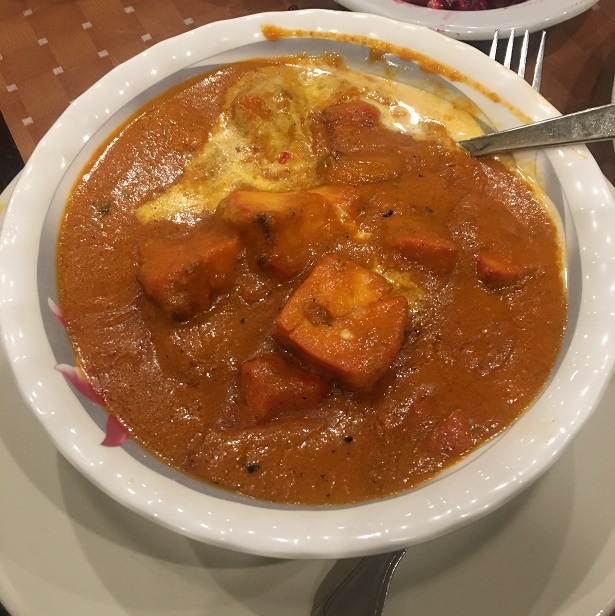 HBH is a little piece of India tucked away in a small Henrico shopping center on Hungary Spring Road serving up authentic Indian cuisine for more than six years now. The smell of spice and tradition filled the air, causing a nose-tingling sensation. The smells of the food were strong and the taste was even stronger. Regulars come in to indulge in a comforting taste of home. Newcomers, like myself on the other hand, found a sampling of food and spices they’ve probably never tasted before. Some of the people at our table even had beads of sweat speckling their foreheads because of the level of spice. HBH is the real deal. Owner Moiz and his wife Hafsa Sana welcomed us with open arms and plates on top of plates of food. 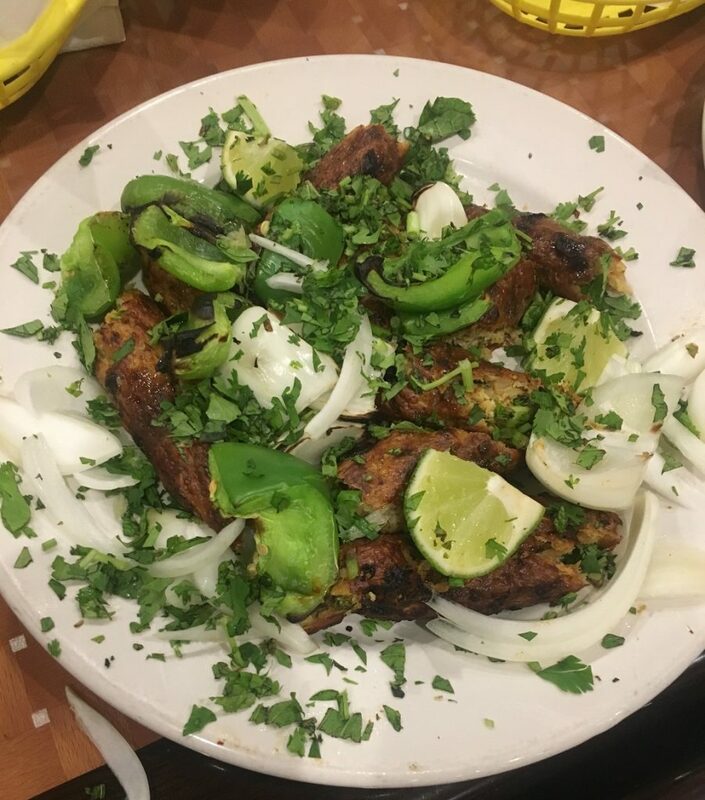 While Hafsa Sana is the main cook in the kitchen, pumping out all sorts of flavorful dishes, Moiz took the time to sit with us, talk more about Islam, HBH’s food, and Ramadan. The holiday is a month of fasting (Sawm) to commemorate the first revelation of the Quran to Muhammad according to Islamic belief. We arrived at the restaurant around 8:30 p.m., because during Ramadan, Muslims fast from sunrise (about 4:15 a.m.) to sunset. Moiz explained how Muslims cannot eat or drink anything during Ramadan, they also try to keep themselves from taking part in anything that could be considered harmful or a waste of time, like smoking, gossiping, or watching too much TV. Families across town gathered at HBH to break fast that night. The Arabic word for breaking fast in the evening is called Iftar. The food is shared in a family-style way. To break fast, people began with light foods like fruits and water. We were brought out bananas, apples, pomegranates, and dates. After eating the fruits, the real indulgence began with the dishes Hafsa Sana brought our table to sample. 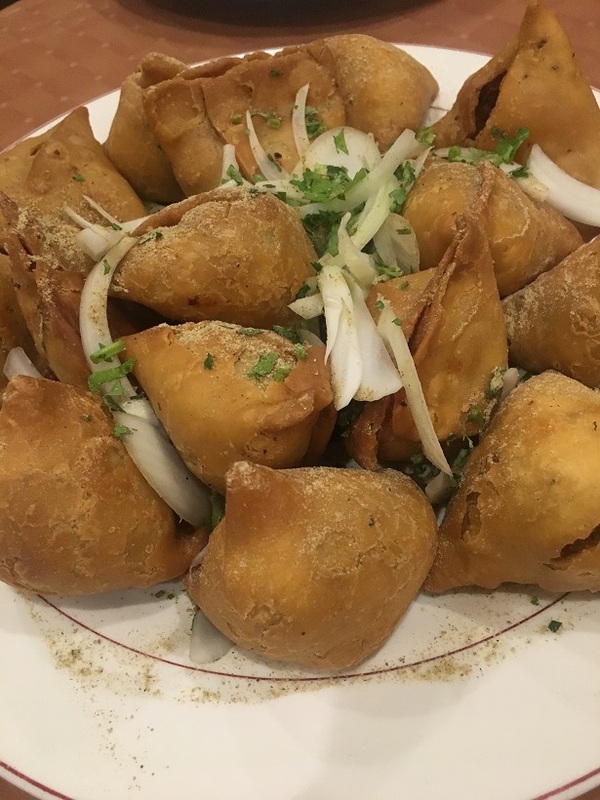 We started with deep-fried samosas filled with potatoes, peas, and spices giving the mouth something warm and indulgent to bite into after not eating all day. The soft potatoes are the start of the food that really sticks to your ribs, keeping you full at night and into the day during the fast. 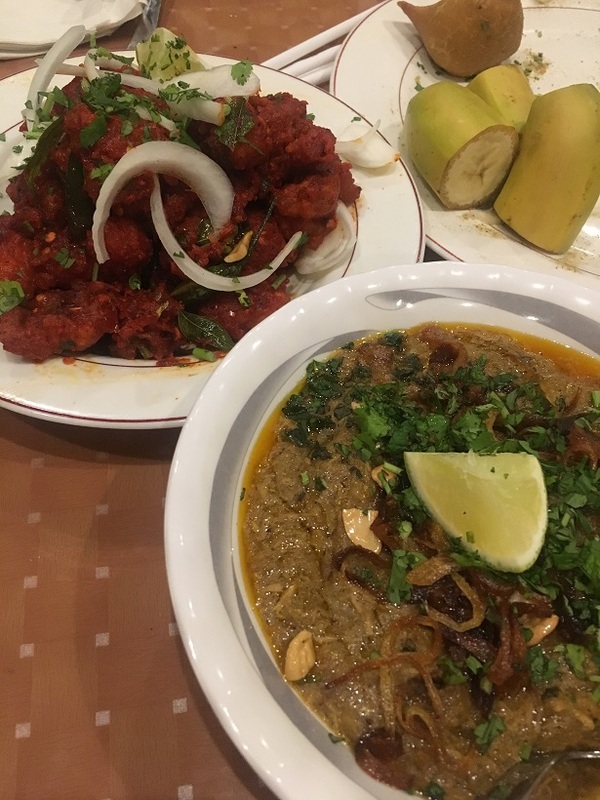 The chicken haleem is one of the more popular dishes at HBH and back in India, Moiz said there are certain places that will make millions of the dish during Ramadan alone. This was the first dish we had where the Indian spices were prominent. Moiz explained how haleem is cooked for long periods of time, ranging upwards of seven to eight hours. During that time the meat, spices, wheat, and lentils blend together creating a pasty consistency. It looks like a spicy Indian porridge topped with nuts, mint, and lime. Another trademark dish is the restaurant’s namesake Hyderabad Dum Biryani. Biryani is a world-famous Indian dish, native to Hyderabad, the capital of the southern Indian state of Telangana. A meat, like chicken or goat, is cooked with basmati rice, and then, of course, spices are added. The meat soaks up most of the spice in the dish, so this is a good one for those that need a more mellow taste. The goat in our Biryani was so tender it fell off the bone and could be cut with a fork. For more adventurous spice-lovers, HBH’s Chicken 65 dish (above) is the one to try. Red chilies give the fried chicken its bright appearance. This spice is a different kind than the other dishes, subtle at first, sitting on the back of the tongue. The more you eat, the more the spice level rises. For the Chinese fans out there, it’s similar to General Tso’s chicken, but with spice rather than a sweet sauce. Lastly, my favorite dish of the night was an okra fry called Bhindi. The only time I’d had okra previously was fried or in a gumbo and there’s no denying the vegetable is delicious. 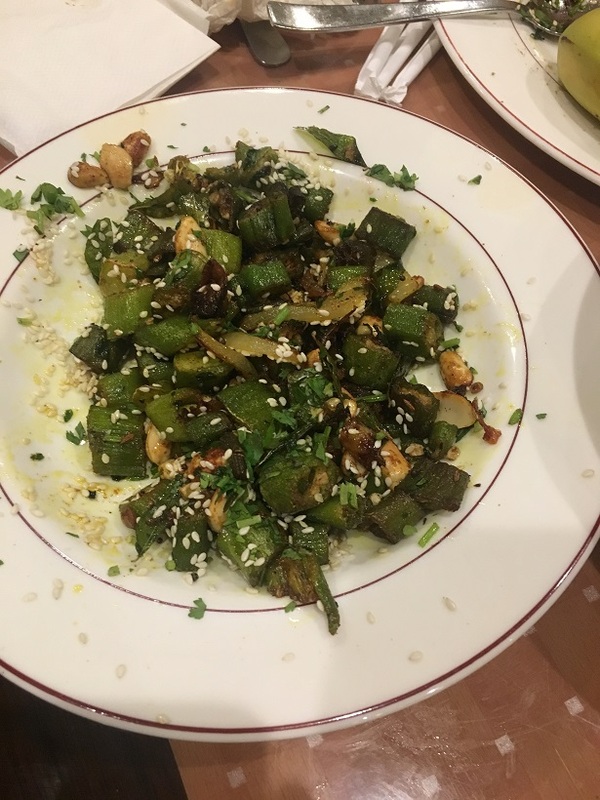 Hafsa Sana sauteed the okra with cashews and spices giving me a whole new perspective on a vegetable I thought I knew everything about. The menu is a wide range including vegetarian-friendly dishes, traditional Indian food, BBQ specialties, and even Indo-Chinese fusion. Whether you can make it during Ramadan or not, HBH is open for a lunch buffet during the day and then dinner at night every day except Tuesday. It’s time the rest of Richmond knew about one of its best-kept culinary secrets. Be on the lookout for more in depth coverage from RVA Mag on Ramadan.